Animal Farm is a book I'm sure I must have read while still at school, but aside from the general concept I was unable to remember the plot. Being one of those books I feel I ought to have read - particularly in the current political climate - I decided to download a digital edition to discover what I've been missing out on all these years. This infamous quote summarises Animal Farm perfectly. 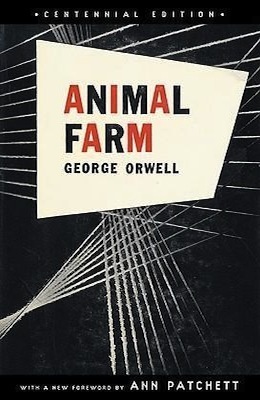 Written as an allegory of the Soviet revolution, the story follows the animals of Manor Farm who revolt against the farmer and form their own community.At first, their community is a peaceful one, wherein the animals work together to ensure their prosperity and happiness. However, it is not long before the more intelligent creatures begin to manipulate others for their own intent. Rules are rewritten and forgotten, and history is glossed over to fulfil current purposes.